"One of the biggest needs after a disaster is logistics—getting food, water, medicine, and other supplies to the affected region. 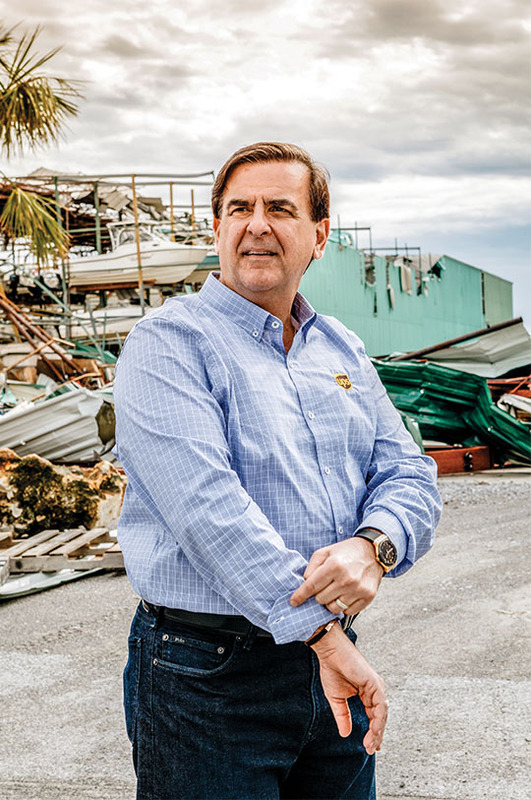 UPS has leveraged its expertise to become a leader in the field, routinely winning awards for its contributions around the world. Eduardo Martinez, the president of the UPS Foundation and UPS’s chief diversity and inclusion officer, spoke with HBR about how the company maximizes the benefits of its work. " How has technology changed the way you respond?It helps us be more effective. We have used drones to deliver vaccines and blood supplies in Rwanda, sometimes making more than 50 deliveries a day. We’re using scanners and cards to track and distribute food to Syrian refugees. Before that, pen and paper were being used to track distributions to camps with 200,000 people. The new system ensures that everyone gets the right nutrition, and it has reduced lines, spoilage, hoarding, and reselling. For more on UPS disaster relief click here.